Deep Purple drummer Ian Paice has revealed that he suffered a mini-stoke this week. Paice awoke on Tuesday morning with numbness on the right side of his body. After being taken to hospital in Stockholm, Sweden, it was determined he had suffered a TIA (Transient Ischaemic Attack), also referred to as a mini-stroke. 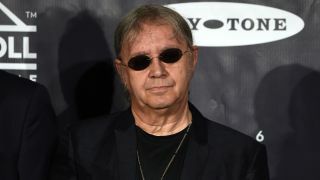 It led to Deep Purple cancelling shows in Stockholm, Gothenburg and Horsens – the first time he has missed any gig with the band since they formed in 1968. Paice, 67, says: “To all the people who were expecting to see Deep Purple in Sweden and Denmark this week, I would like to let you know the reason the shows were not possible and also to stop all the speculation and rumours. “On the morning of June 14, I woke up to find that the right side of my body was feeling numb and I could not control my right hand and fingers. Paice adds that he expects to be back in action next month. He says: “After both CT and MIR scans, there was found to be no serious or permanent damage. As of this moment, all I am suffering is a slightly numb right side of the face a tingling sensation in my right hand. “My dexterity in the hand is coming back quickly and I fully expect to recommence touring next month. So now I have a set of tablets which have to be taken every day to ensure it doesn’t happen again. The band return to the tour next month in Turkey. They are working on the follow-up to 2013’s Now What? !.